This “spring” has been very un-spring-like. If you want to get yourself into the spirit of the season (and hopefully inspire Mother Nature to get it together! 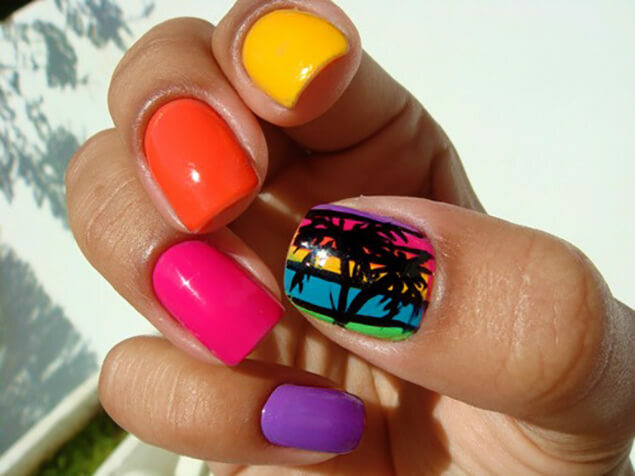 ), colour your claws with these totally gorgeous nail options. We all know by now that I’m completely and unhealthily obsessed with pastels. Luckily this trend translates into gorgeous colour combos for spring! Pastel pink, robin egg blue and soft yellows are gorgeous on their own, or go for a tri-colour look with an accent nail or two. If there’s one way to without a doubt make your fingers look long and thin, it’s lacquering up your nails with a flesh-toned hue. My favourites are closer to pink, but you can also opt for a polish with a more beige undertone. Wish you were on the beach sipping some sort of girly fruity cocktail? Well, at least you can bring that colour palette to your fingers! Bold yellows, mint greens, hot pinks and daring oranges will certainly do the job when you’re trying to trick yourself into thinking it’s nice outside. 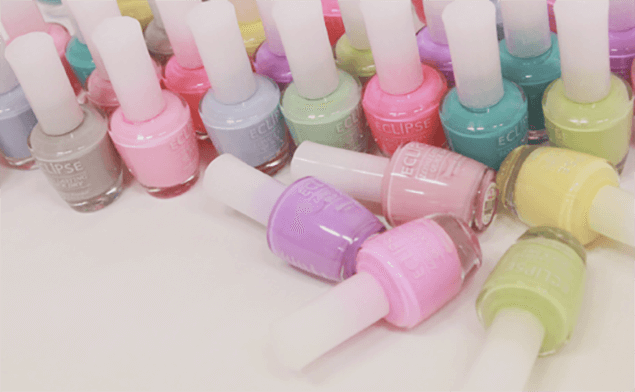 It doesn’t need to be spring to have an excuse to wear sparkly nail polish. If you want to keep things bright, might I suggest gold or pink glitter? You can also add sparkles to your routine manicure with an accent nail. Want a totally impressive nail look, but don’t have the time or dexterity to do it yourself? 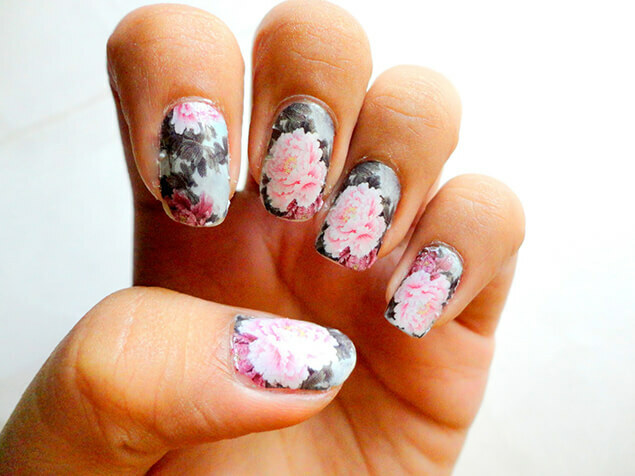 Give stick on nail decals a whirl! Floral designs are perfect for spring, and almost every brand offers at least one floral option. Gorgeous!